And famed Raiders receiver, Cliff Branch, made me wear his Super Bowl ring. What? That’s awesome! 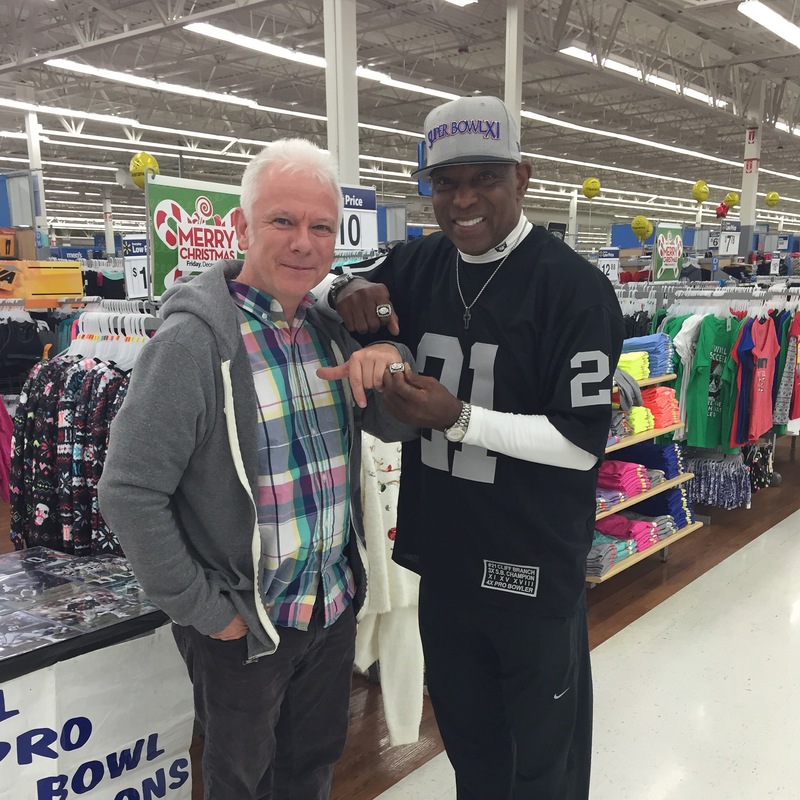 What on Earth was Cliff Branch doing in Walmart? Looks like some sort of promotion? Unless he always just walks around in his Raiders jersey (although if I was Cliff Branch, I might do that too).